Daleys Fruit Tree has Plants for Sale to Jerrawangala and can Mail Order them to you door. Click to Find out how much Freight Will Cost. White fleshed, excellent mild flavour. Cold hardy. 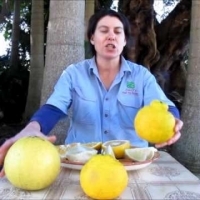 Certain characteristics suggest this is not a true pummelo but a hybrid. Ripe grapes are sweet and juicy with a distinctive fruity flavour. 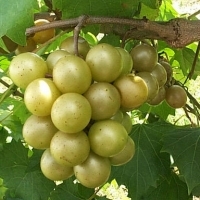 Vigorous self fertile vine with medium sized (15-20mm), round golden-bronze fruit when ripe. It can set a small percentage of smaller seedless fruit. Highly disease resistant and should not require spraying making them ideal for coastal subtropical climates. 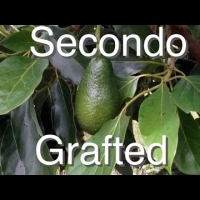 This variety is owned by FAVGRO. The purchaser agrees that propagation of the vines for sale, without authorisation from the breeder is prohibited. Superior flavour, with smooth, creamy flesh and pear-shaped, green-skinned, fruits that are textured like hass. A vigorous variety that commences fruiting in its 2nd year. Self pollinating. H Jul - Dec This is a local selection with Hass and Sharwill as parents that was selected by Daleys and is proving an excellent backyard variety as well as being our nursery favourite. A Spanish variety. Navelina produces fruit of excellent quality and brilliant colour, very early in the season. 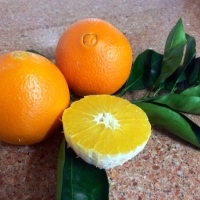 Good fruit size and naturally develops an outstanding deep red orange skin which is very attractive. Trees are compact and smaller growing than most varieties of orange.